there’d been lots of baking this week at home ~ and all are requests from hubby (since he is going away on yet another long trip). “Lai Wong Bao”, or custard buns, are one of the favourites at home… believe it or not, I spent the whole night wondering how i should shape ’em…. somehow, chicks are still the cutest, no? So cute!! 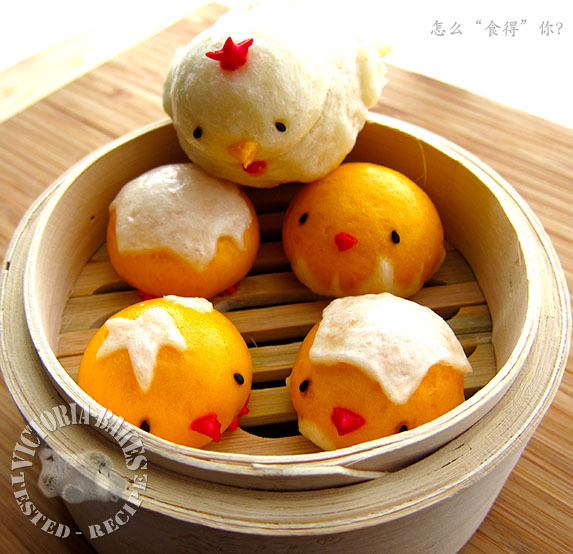 Can\’t help but swoon over these little baos! 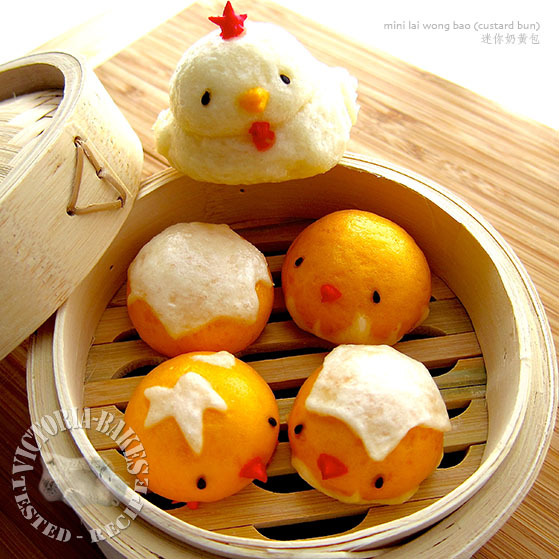 Your mini custard buns are so cute. Omg!!!! 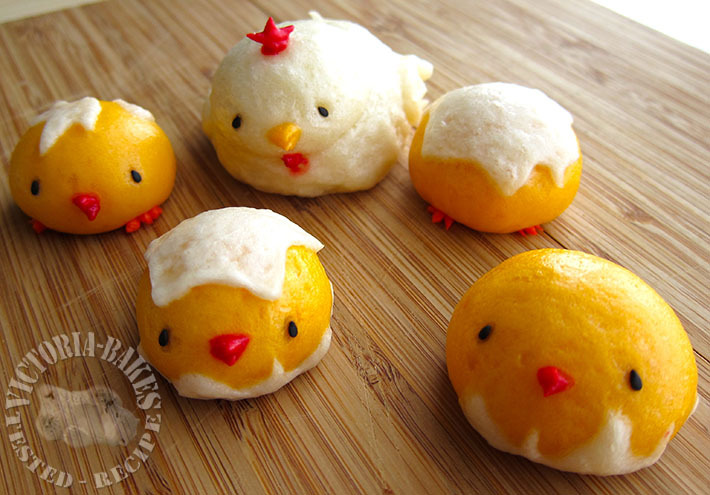 these chicky buns are sooo cute!!! 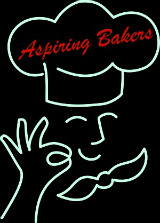 What\’s honk kong flour? Is it different from the regular flour?